A 58-year-old British man died while taking a selfie at the Lakshmi Temple in Orchha, India. It was the last stop on a round-the-world trip with his wife Hilary that took in a total of 22 countries. Roger Stotesbury, a documentary filmmaker from Buckingham near Oxford, fell from a height of 30 feet (nine meters) while reportedly taking a photograph of himself on Friday. “He was the nicest man on the planet and they were an incredibly happy and devoted couple. It’s just awful,” a family spokesperson said, as cited by The Guardian. 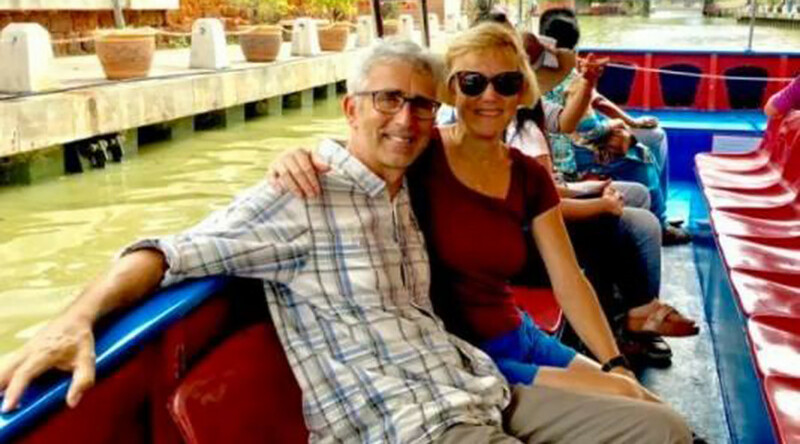 Stotesbury and his wife Hilary began their round-the-world trip in November 2016, visiting Italy, Chile, Patagonia, Canada, Hawaii, Australia, Japan, Korea, China, Indonesia, Singapore, and Malaysia before arriving in India. The couple rented out their home and put their personal belongings in storage for the voyage. “We are Hilary and Roger, a married couple from England/Scotland who are in their mid fifties. Hilary’s motto is ‘just do it’ whilst Roger’s is ‘to die young as late as possible,” the couple wrote on their blog entitled ‘middle-aged gap year.’ Stotesbury fell as he tried to take a selfie at the temple in Orchha, 160 miles south of the Taj Mahal. “We took the view that on your deathbed you never wish you’d spent more time in the office,” the pair wrote. Roger was taken to Ramraja Hospital but died of his injuries soon after. "Roger and Hilary were completely in love with each other, like no other couple I know. Their children are distraught at what's happened," a family friend told The Telegraph. "Neither of them thought it was a fatal accident when it happened. He went from being badly injured with a broken leg, to dying," Gina Rozner, Mrs Stotesbury’s cousin, told the Telegraph. "We understand he was trying to take a picture of himself on the wall which is only around 3 feet wide. His wife Hilary was standing just 3-4 feet away from him when the incident happened,” police officer Prateek Kumar said, as cited by The Telegraph. "They were alone. They did not have a guide. Team of doctors will conduct autopsy but initial examination tells that he died of cardiorespiratory arrest and had suffered injuries in spinal cord." "We have started the legal proceedings in the case. This is a very hard time for his wife. She is in shock so we are not asking her several questions. We are providing all our support to her," said police inspector DD Azad, as cited by The Telegraph.